Theres no introduction to get you going and whilst it’s simple enough to work out that you have to press the screen for anything to happen, those special types who leave one star reviews in the App Store might struggle without the aid of a tutorial. 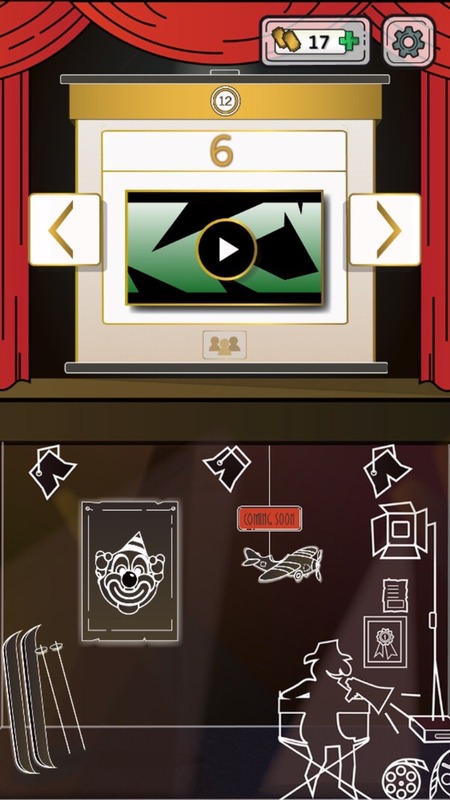 As always with this genre of game, the screen scrolls from left to right and this time you’re in charge of a line which has a distinct problem with gravity unless you tap and hold on the screen. Tapping and holding on the screen reverses gravity sending the line sky bound right until the moment you take your finger off the screen. Now add to the mix various obstacles to go around, over or through you have the makings of something that is going to set anybody with an obsessive-compulsive disorder into a state of disarray. Touch the top of the screen, die, touch the bottom of the screen, die, touch any object on screen and you’ve guessed it, death. When you die it’s either a case of back to the start or using accrued tickets to continue from the point of death. 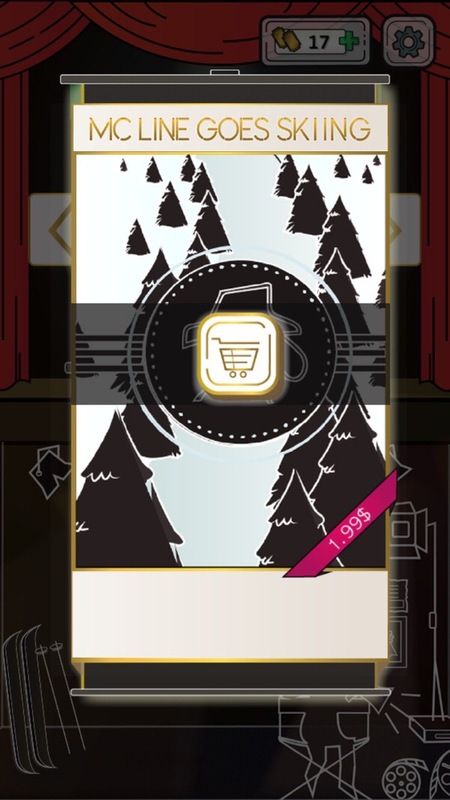 After you’ve gone through 29 rings out of 30 just to die again it’s a very tempting proposition and of course more tickets are easily purchased in app. 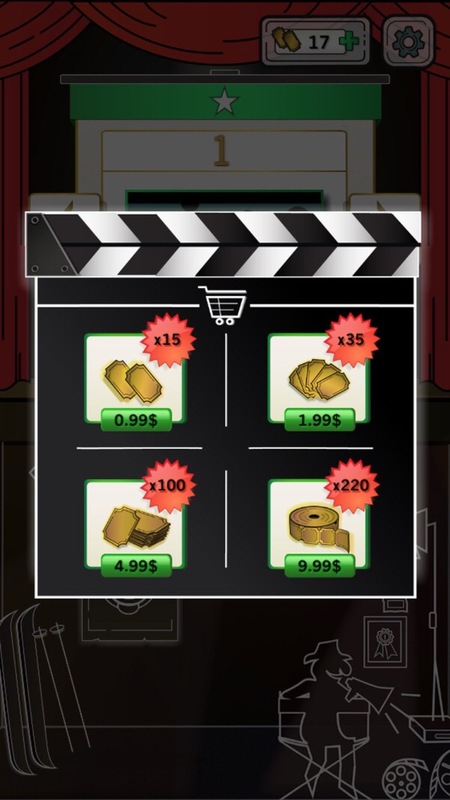 I’d had been just as tempted with a new background music pack or different color packs for the black obstacles etc. Or even just to keep the music from restarting every time you die. Whilst on the subject of minor irritations the box after you die is situated just out of thumb swipe range to close it. On an iPhone 6 this meant either 2 handed gameplay or doing the iPhone shuffle to reach the box just to close it. This was a hairs breadth away from being frustrating enough to put the game down at times. I can only imagine the situation being exasperated on a iPhone 6 plus. 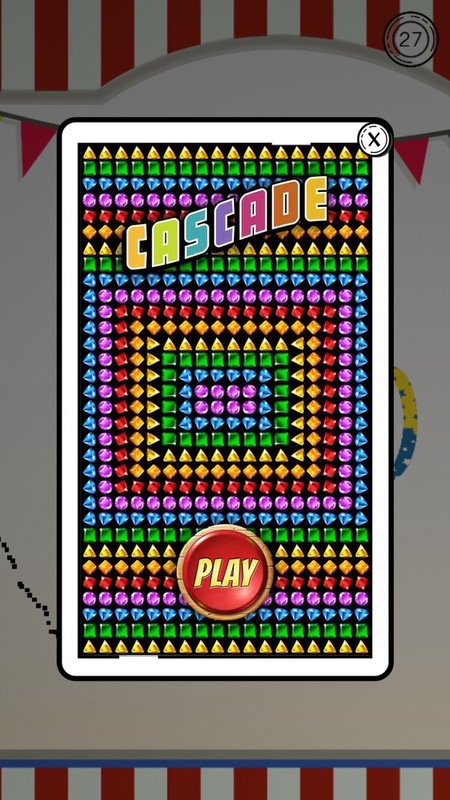 By far the most annoying factor is when you don’t realise that instead of the ticket box an advert comes up stead and unless you look for the close point you are all too easily popped out of the game into the app store. A simple game like this doesn’t need any flashy graphics but it does suffer from some low quality graphical assets which don’t seem to be retina. The most obvious offender here is the circus ring level (3). 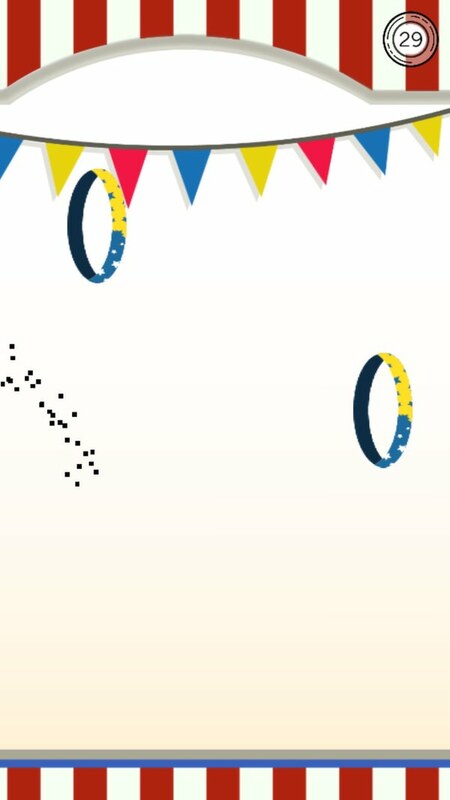 The rings look jagged with no anti aliasing or shadows to smooth things out. While this doesn’t detract from the gameplay it’s noticeable enough to comment on. The posted images look smoother than it does on my iPhone 6 with iOS 9 running. Other graphics could do with being clearer and less stock image like. On the loading screen there’s a play button that looks too similar to a play video button used on the web. 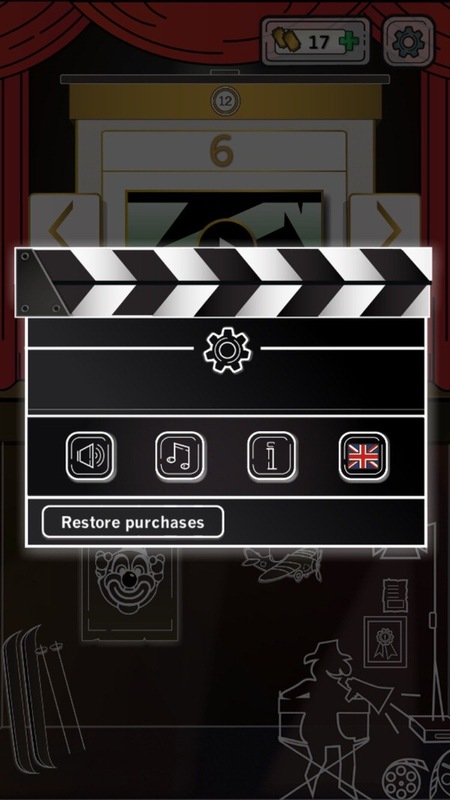 Also on the loading screen the bottom line drawn area looks out-of-place until you realise it’s for in app purchases. 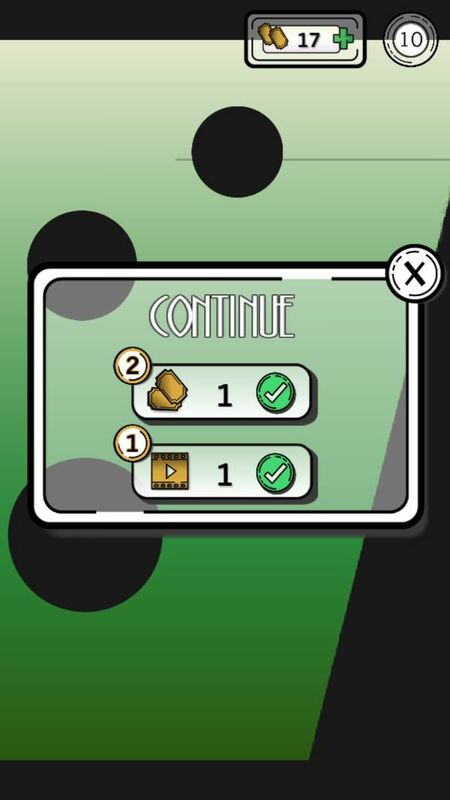 Some parts wiggle to let you know you can tap them, others are a question of random tapping to see if anything happens. One small bug as I found out on the train is if you hit restore purchases whilst your signal drops out you’re stuck at that screen. Only force quitting and reloading the app gets you back to a playable state. As mentioned earlier when you die you can use 2 of your tickets to start from the point of your last failure. Tickets can be purchased for from 99c onwards and whilst not essential even I went ahead and put down 99c to save my sanity. 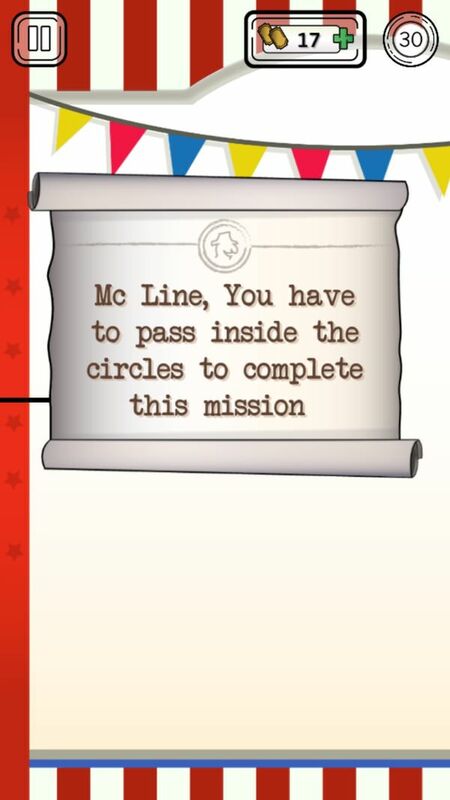 Mc Line is a great game thats hampered by the need to make money. Some of the design choices, box placements interrupt the flow of gameplay so that it tests your patience right up to the point where I considered I didn’t want to once again go from play point to close a box, back to my play point and as it’s a brisk game this gets tiresome.